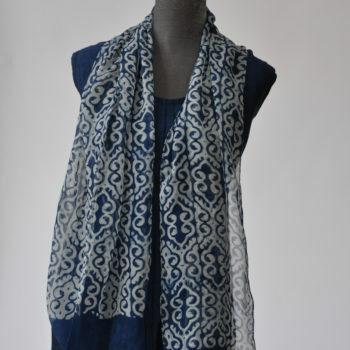 Designed and produced in Bali and handmade from start to finish, these beautiful scarves are truly one of kind. 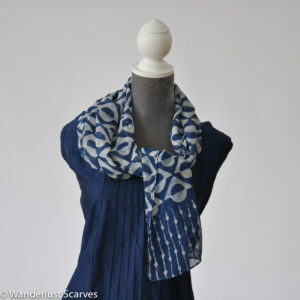 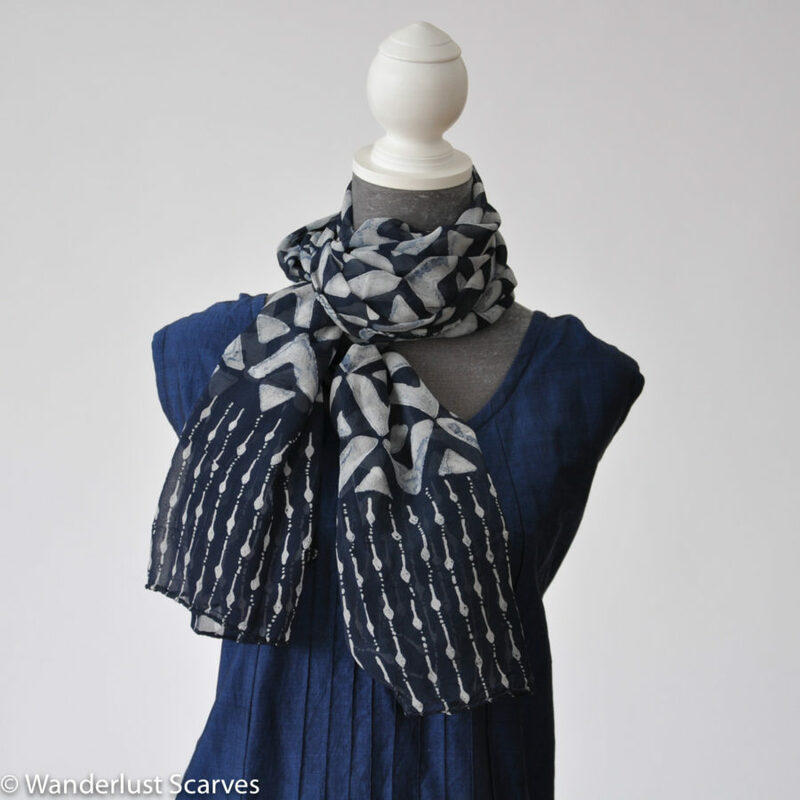 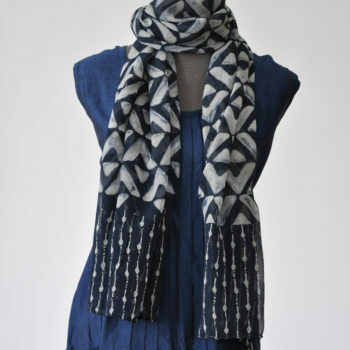 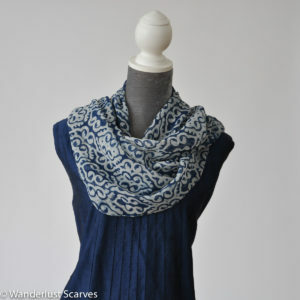 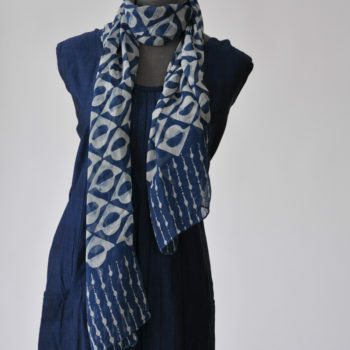 The scarves are dyed with natural indigo, with hand stitching finishing the edges. 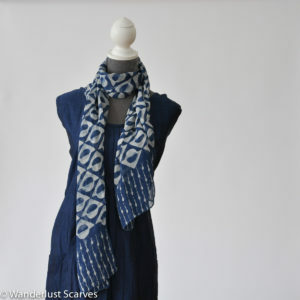 The variations in pattern and colour add to the charm of these scarves. I have a very small selection of these special scarves.